Designed for the professional hydrographer, GeoTide handles each step of tidal analysis and prediction in an intuitive and user-friendly way. Tidal prediction uses the values of the harmonic constants to predict the tide. Once the harmonic constants have been determined the tide can be accurately predicted for many decades into the future. 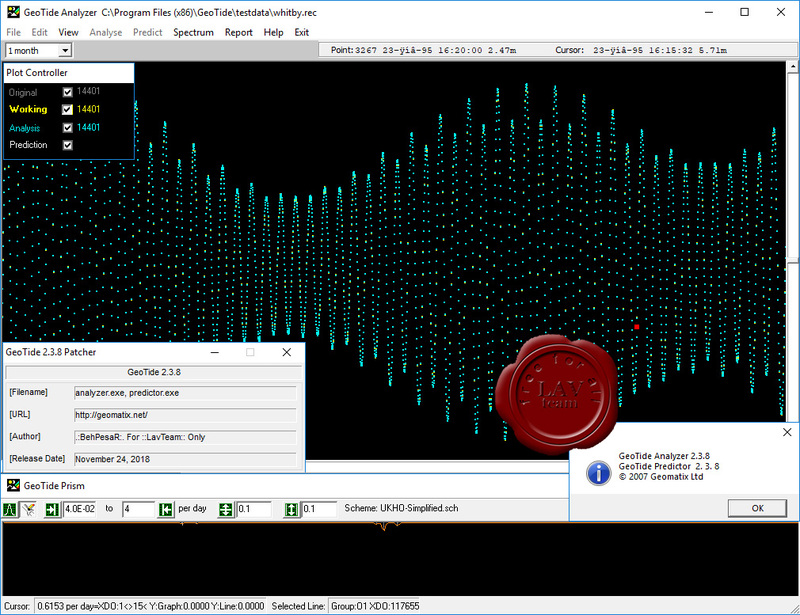 GeoTide Analyzer converts tide gauge data into the harmonic constants for that place. GeoTide Predictor converts the harmonic constants into tidal predictions.